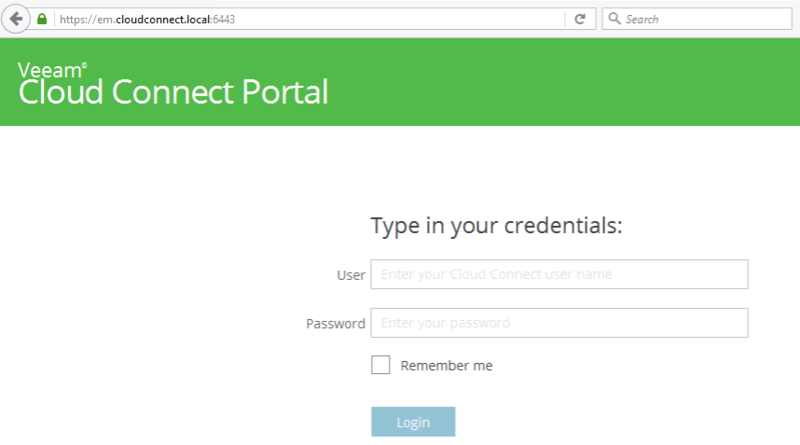 Because of this, it makes even more sense to deploy Veeam Enterprise Manager together with the Cloud Portal on a dedicated machine..
Once installed, Cloud Portal can be accessed over an HTTPS connection over port TCP/6443. Service providers can re-map this port either by reconfiguring the website in IIS or by using a firewall. This port is already listed among the open ports of Veeam Enterprise Manager. No further action is needed. 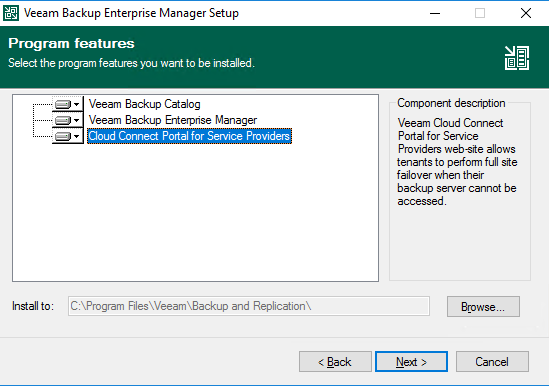 Cloud Portal is an additional component of Veeam Enterprise Manager. Please refer to the previous chapter related to Veeam Enterprise Manager for additional information about monitoring. Cloud Portal is an additional component of Enterprise Manager. Please refer to the previous chapter related to Veeam Enterprise Manager for additional information about protection.